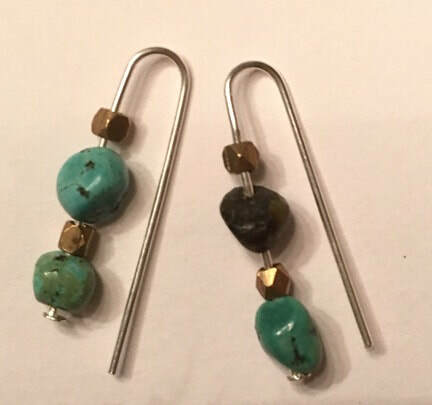 Use beads and wire to create your summer earrings! Simply choose a set of beadsfrom the selection or find some at the show. Create fun charms with stone, brass turquoise nuggets and add them to a chain bracelet. 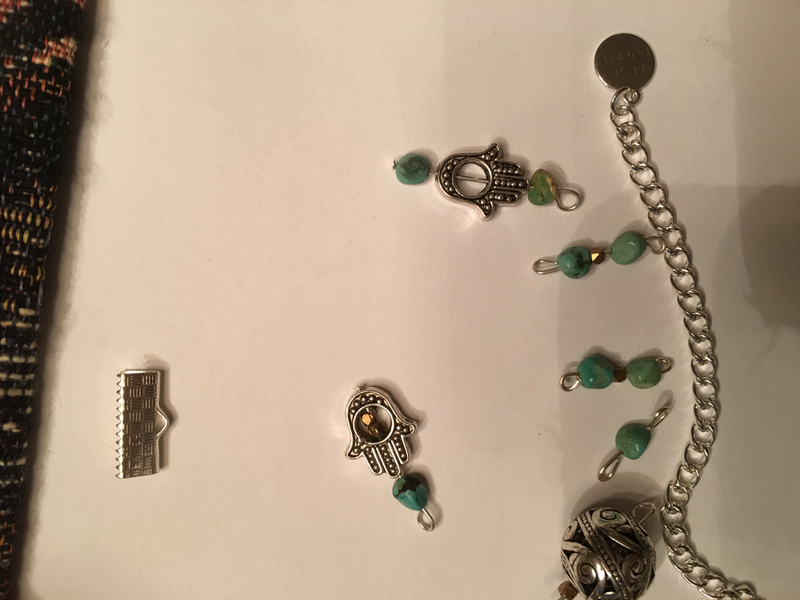 ​To make a charm for your charm bracelet, thread your beads onto a head pin. Use your round-nosed pliers to make a loop over one side. Wrap the end of the wire around the pin, under the loop you created and above the beads. After 2-3 wraps, nip off the excess with your wire cutters. Once you have finished making 8-12 charms, add them to your chain bracelet. Just twist open a jump ring and attach the charms to your chain at regular spacing.